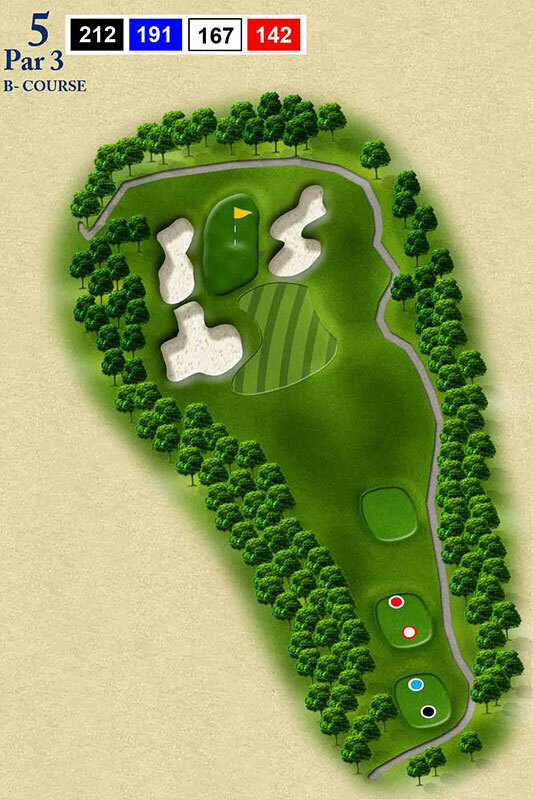 #4B For the longer hitter carrying the fairway bunker on ther left will leave a short, uphill shot to the green. 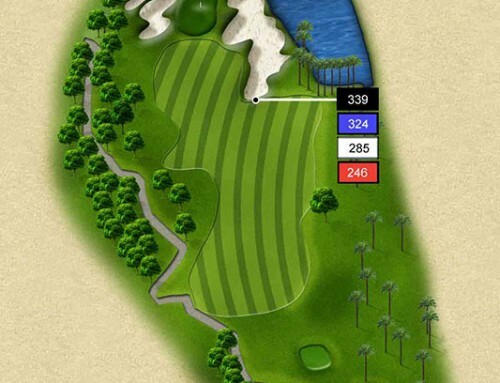 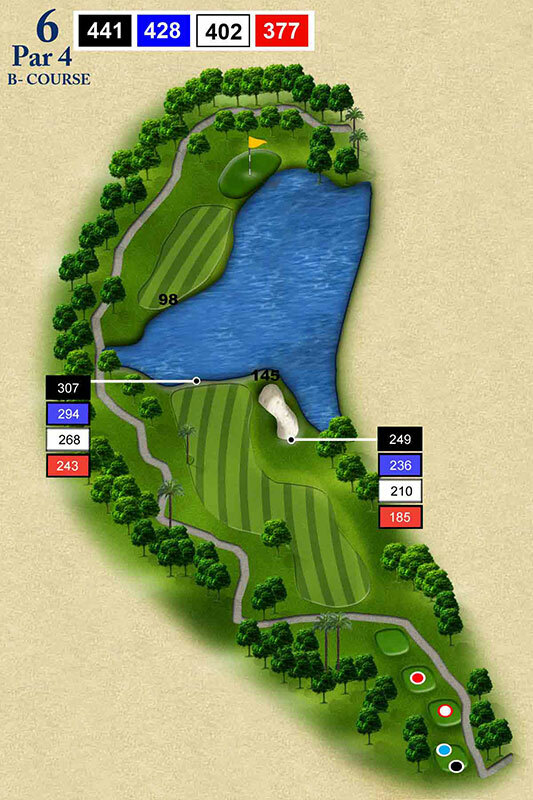 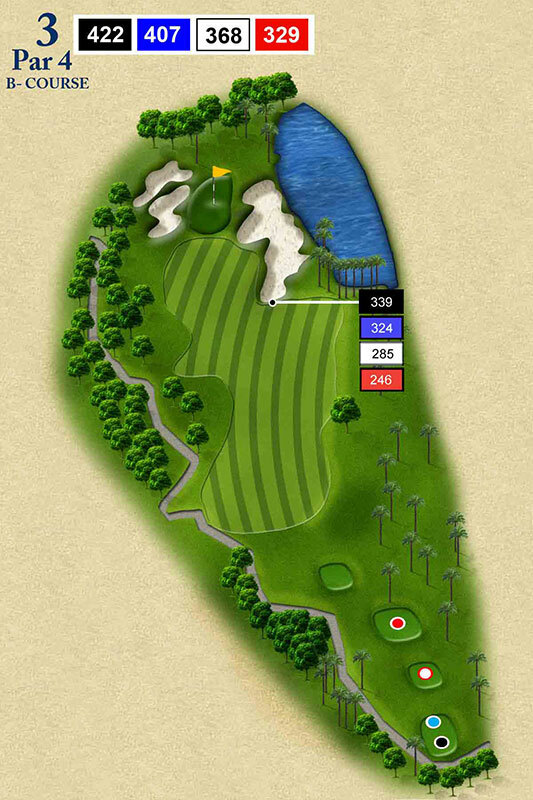 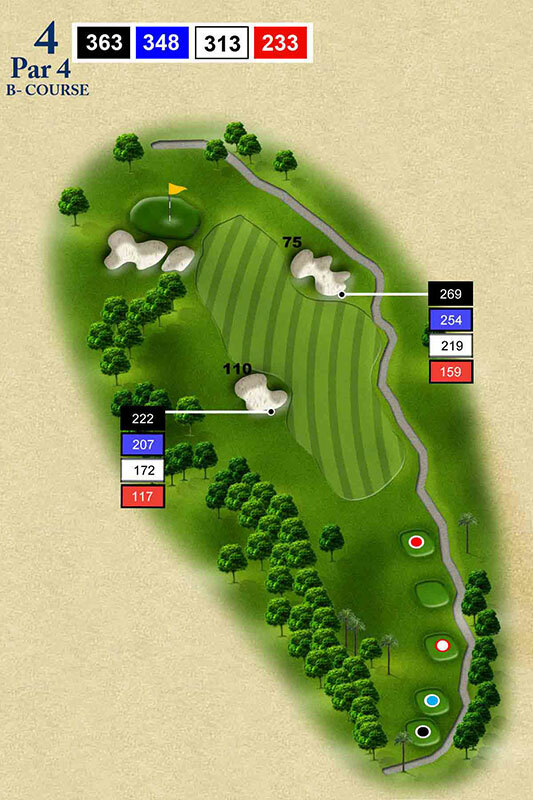 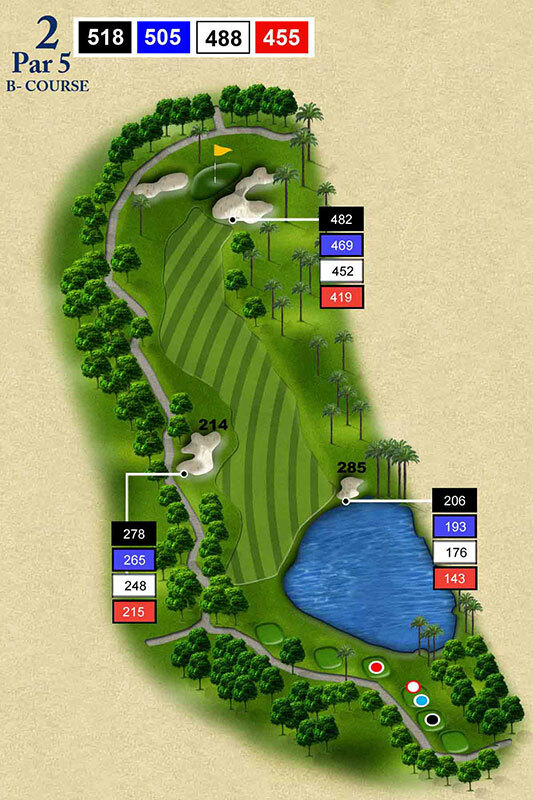 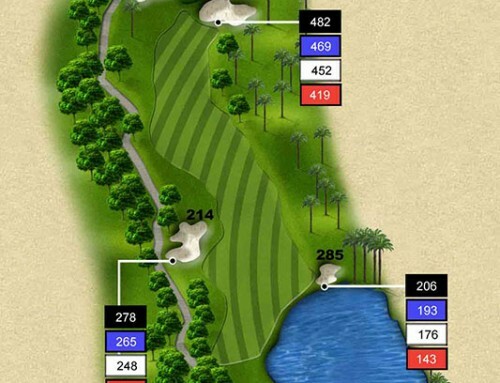 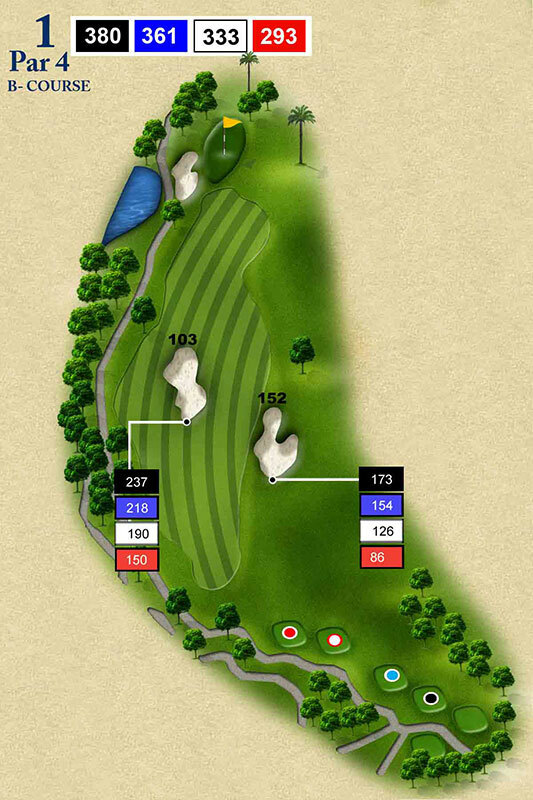 A shot played too for left will resulf in having to play over a cluster of large mangos so the hest strategy is to aim near the center of the fairway and drow the ball to the left. 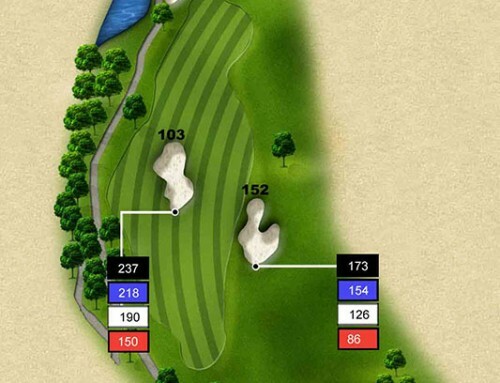 For most players, keeping the ball to the right side will make the hole somewhat longer but the opproach to the green will be more open and more visible.